[PDF] Dermal Absorption and Toxicity Assessment and Dermatologic, Cosmeceutic, and Cosmetic Development: Therapeutic and Novel Approaches, 2 Volume Set: ... (Drugs and the Pharmaceutical Sciences) | Free eBooks Download - EBOOKEE! Description: The source Dermal Absorption and Toxicity Assessment supplies a state-of-the-art overview of the dermal absorption process, and is divided into six well organized sections. 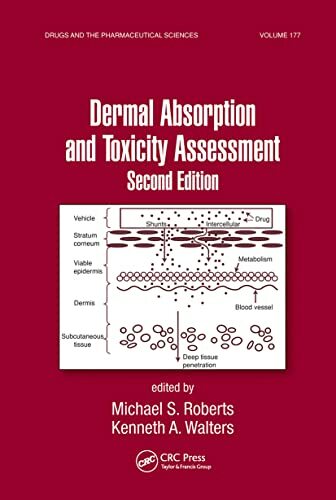 Written by internationally recognized experts in the field, this Second Edition is a complete revised and updated text, covering the wide range of methods used to assess skin absorption and the various governmental and industrial programs concerned with skin permeation and toxicity. These include alternative in silico, in vitro, and in vivo strategies to conduct studies for regulatory requirements. To make room for this new expanded content, the editors are publishing a concurrent text entitled: Dermatological and Cosmetic Development with a concentration on subjects concerned with dermatological and cosmetic therapies. No comments for "[PDF] Dermal Absorption and Toxicity Assessment and Dermatologic, Cosmeceutic, and Cosmetic Development: Therapeutic and Novel Approaches, 2 Volume Set: ... (Drugs and the Pharmaceutical Sciences)".